Individual Name. You can hold title in just your name even if you are married. If you become mentally or physically incapacitated due to illness or injury and the property needs to be refinanced, or a line of credit needs to be opened, or if you are unable to conduct business, the court will need to appoint someone to act for you. If yours is the only name on the title, the property will almost certainly have to go through the probate court system before it can be distributed to your heirs, even if you have a will. If your name is the only one on the title, and you have died, you can’t sign your name to transfer title. While there can be exceptions, in most cases the only way to remove your name and put the new owner’s name on is through the probate court. Joint Tenants with Right of Survivorship. This is how most married couples hold title, because it seems fair, it’s easy and it’s free. Parents and their adult children also often hold title this way, as do unmarried couples. When one owner passes away, full ownership does transfer automatically to the surviving owner without probate. If the surviving owner dies without adding another owner, or if both owners die at the same time, the property will have to go through probate before it can go to the heirs. When you add a co-owner, you lose control. With real estate, all owners must sign to sell or refinance. You expose the property to your co-owner’s debts and obligations; you could even lose your home to your co-owner’s creditors if he or she is successfully sued. There could also be gift or income tax problems if your co-owner is not your spouse. Tenants-In-Common. With this kind of ownership, each owner’s share will be distributed as directed in his or her will. If there is no will, the property will go to the owner’s heirs. Tenants-by-the-Entirety. This form of joint ownership, available between spouses in some states, is similar to joint tenants with right of survivorship in that when one spouse dies, their share automatically goes to the surviving spouse, even if the will says otherwise. So you have many of the same risks, including unintentional disinheriting and court interference if one spouse becomes incapacitated. 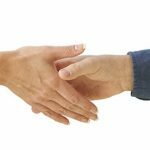 Neither spouse can transfer their half to someone else without the other’s approval – something joint tenants with right of survivorship and tenants-in-common can both do. Revocable Living Trust. 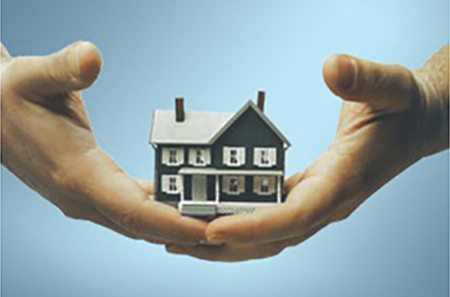 The title of your real estate can be held in the name of the trustee of your trust. Usually you will be your own trustee, so you keep full control of the property. 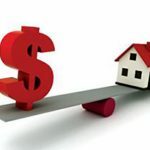 You can buy, sell and refinance real estate just as you can when the property is not in your trust. If you become incapacitated, the successor trustee you named when you set up your trust will be able to step in and act for you. Because the title is no longer in your individual name, there will be no need for court interference. If you are married, you and your spouse can be co-trustees, in which case your successor trustee would step in only after you have both become incapacitated or have died. Your beneficiary is legally obligated to follow the instructions you leave in your trust. If you recover, they step aside and let you resume control. When you pass, the property will be distributed without probate according to the instructions in your trust, so you don’t have to worry about unintentionally disinheriting someone. How you hold title to real estate should be given careful consideration. Check your titles and make any necessary changes.